We welcome back artist Jacinta Walsh to Nenagh Library for the month of January. 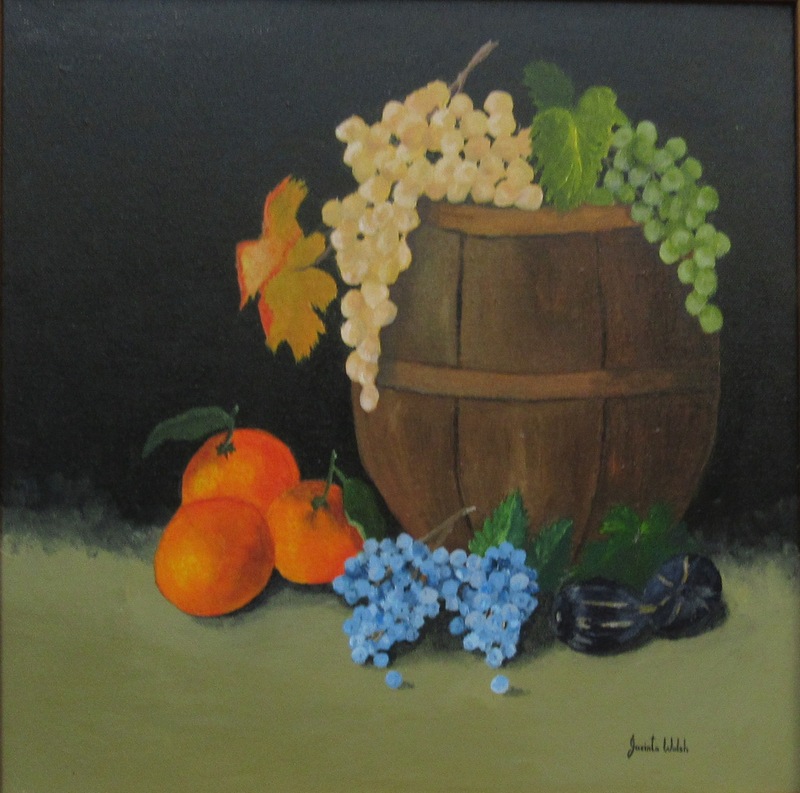 Jacinta is a very experienced and popular artist and welcomes everyone to come in and view her paintings. Her exhibition is aptly titled “Abundance and Infinite Possibilities”. I was born in Limerick where I grew up as part of a large family and my parents Rian and Margaret Glasgow encouraged my creativity and love of painting from an early age. My paintings are inspired by my love of nature, fauna, flora, angels and images that evoke memories of childhood, healing and spiritual journeys. I am largely self taught and have painted with groups in Cork, Kerry, Tipperary and travelled abroad to London and Spain.I paint in oil, acrylic, pastel and watercolour. My subjects include landscapes, waterscapes, portraits, animals, still life, abstracts etc. I create theme/seasonal murals as well as photo collage, book cover design and paintings to commission. I spent two years painting in rural Spain where my paintings became infused with the vibrant colours and warmth of the mediterranean. In 2009 I trained in Jungian Psychology and art therapy and use my work to explore the subconscious, spiritual dimensions and in my healing therapy practice. 2016 -2017 Clareen Art Gallery, Castletroy, Limerick. 2015 Inchydoney Island Lodge Spa, Clonakilty, Co Cork. Solo. 2015 Clareen Art Gallery, Castletroy, Limerick. 2014 Nenagh Library, Co.Tipperary, Group. A percentage of exhibition sales supported various charities including Friends of Nenagh Hospital, Asian earthquake Appeal, Karachi childrens Hospital Pakistan and Laura Lynn Hospice Dublin. previous post: Clubs and Groups return dates to Nenagh Library after the Christmas Break.